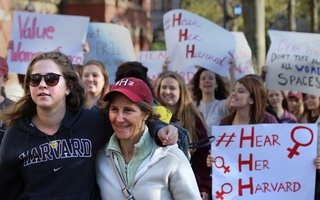 College administrators are “in dialogue” with some of the few single-gender social groups left on campus about the possibility of going gender-neutral and thus avoiding Harvard's sanctions, Dean of the College Rakesh Khurana said in an interview last Thursday. Fourteen formerly single-gender groups — including every all-female group on campus — have already vowed to go co-ed in exchange for College recognition and exemptions from the social group penalties. 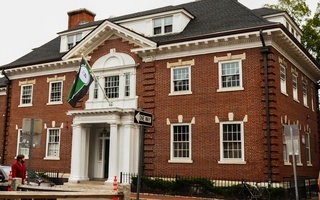 Their shift toward gender-neutral status left behind just a handful of single-gender groups in Cambridge.The hold-outs include three fraternities — Delta Kappa Epsilon, Sigma Alpha Epsilon, and Sigma Chi — and six final clubs: the Owl, the Porcellian Club, the A.D. Club, the Fly Club, the Phoenix S.K. Club, and the Fox Club. Representatives for six of the nine remaining all-male groups did not respond to requests for comment on whether they have been in contact with the College. Bartle B. Bull ’93, graduate president of the A.D., declined to comment. 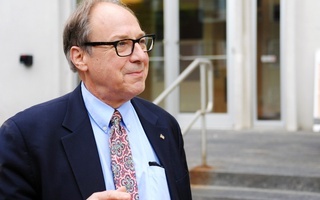 Fly graduate president Richard T. Porteus Jr. ’78 also said the College has not been in communication with his club's leadership. "Neither Dean Khurana nor anyone number of his staff have communicated the terms of recognition with the Fly Club board of directors," Porteus said. 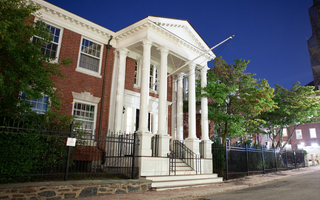 In an emailed statement, Adam M. Kahn, the self-identified "undergraduate president" of Harvard’s chapter of Delta Kappa Epsilon, said the fraternity does not plan to admit women. 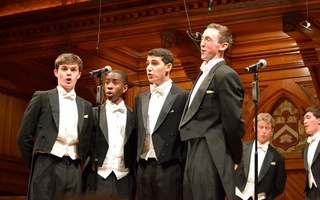 The College’s sanctions — which took effect with the Class of 2021 — bar members of single-gender final clubs and Greek organizations from holding campus group leadership positions, varsity athletic team captaincies, and from receiving College endorsement for certain prestigious fellowships like the Rhodes. To receive College recognition, groups must not only be gender-neutral but cannot remain affiliated with graduate boards that the College determines exert too much sway over the organizations. Groups that affirm they do not discriminate on the basis of a wide a variety of criteria including race and sexual orientation may progress to higher levels of recognition that confer perks including College cash. While some groups have gone co-ed to avoid the sanctions, a few still hope to imperil the College’s policy. Members of the Cambridge Coalition — a group comprising the P.C., the A.D., the Fly, Delta Kappa Epsilon, Sigma Alpha Epsilon, and Sigma Chi — have traveled to Washington, D.C. in recent months to lobby for a bill that could force Harvard to choose between millions of dollars in federal research funding and its controversial social group policy. If they fail in their mission on the Hill, Cambridge Coalition members have said they may sue Harvard. Khurana did not directly respond to a question last week asking how worried he is about a lawsuit. He said no one at Harvard has asked him to start preparing for the possibility that some single-gender groups sue. Instead, he said he thinks the majority of single-gender organizations hope to eventually become gender-neutral. A previous version of this article misstated the number of all-male final clubs remaining on campus, neglecting to mention the all-male Phoenix S.K. Club. It has been updated.